Entertainment Nation is the UK's most trusted wedding entertainment agency. We pride ourselves on helping thousands of couples discover their dream wedding entertainment. We were founded by professional musicians who've dedicated their lives to live entertainment. All that knowledge and experience goes into every booking, so you receive the perfect performance on your big day. Our highly-trained entertainment advisers are on hand to help you hire a wedding band, musician, DJ or performer from 10am until 10pm every single day. They will guide you through the process and answer any questions you have on the way. All you have to do is pick the act that'll make your wedding day complete. 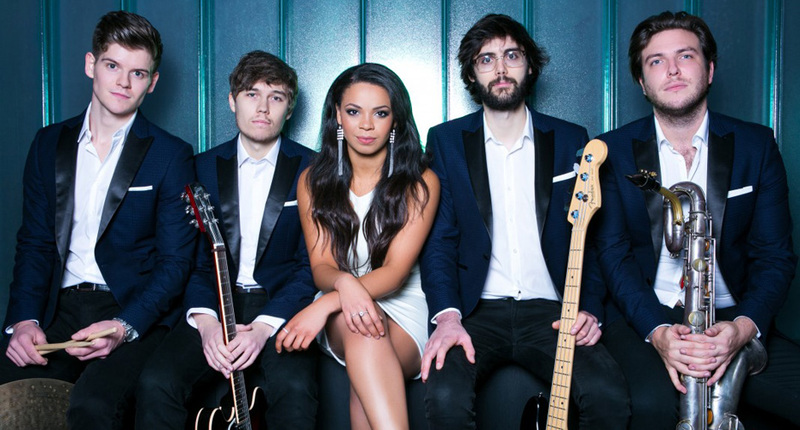 On our user-friendly website, you'll find some of the UK's most talented function bands. Every act has to meet the strict standards of the professional musicians on our team, so you can be sure your wedding band will put on a stunning live show that'll live long in the memory. All our wedding bands are made up of experienced, professional musicians who'll help ensure your wedding entertainment runs smoothly, leaving you free to dance the night away. 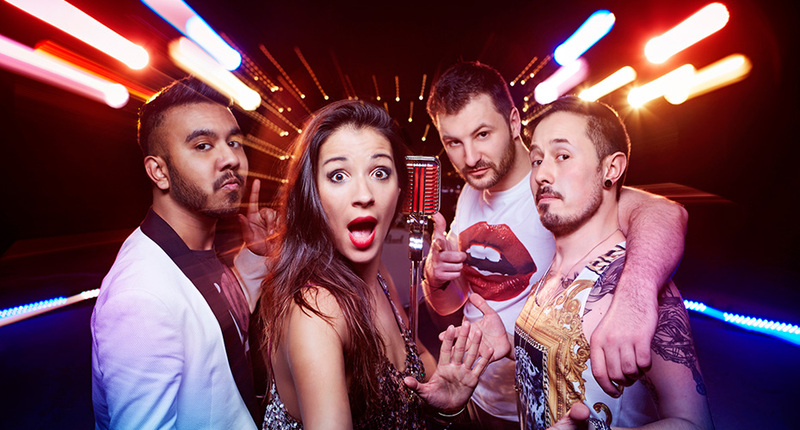 The quintessential wedding function band is the pop and rock band. These versatile bands play all your favourite pop and rock hits from throughout the years to get guests of all ages on the dance floor. Many pop and rock acts have eclectic repertoires that also feature indie, funk, soul, Motown and more. 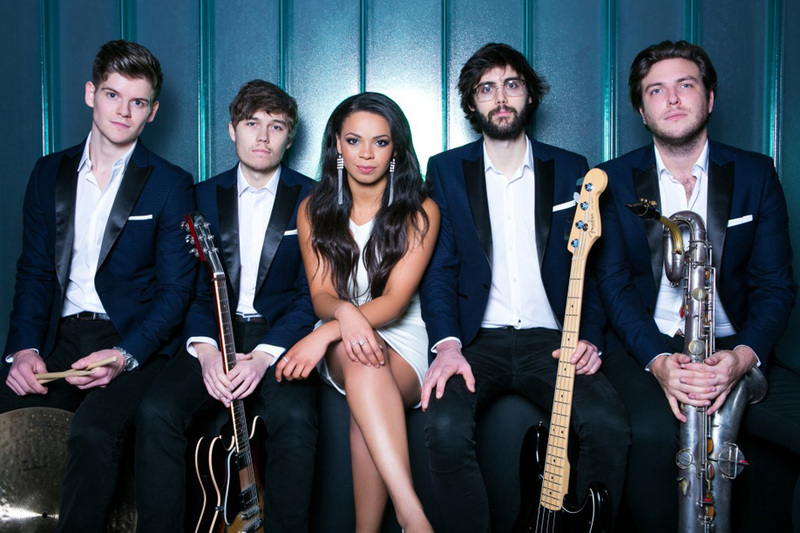 We've got a wealth of fantastic pop and rock bands for weddings for you to choose from. Funky bands playing groovy, floor-filling tunes are always a winner at a wedding reception. Who can resist dancing to classic songs by the likes of Stevie Wonder, Diana Ross and Michael Jackson? Our soul, funk and Motown wedding bands for hire also throw in a few modern numbers by artists like Bruno Mars, Beyoncé and John Legend. Classy and sophisticated, you can book a jazz wedding band to entertain your guests during your afternoon drinks and wedding breakfast, or hire a suave Rat Pack singer to serenade your guests with crooner standards from the likes of Frank Sinatra, Dean Martin and Michael Bublé. Thanks to the influence of the mighty Mumford and Sons, acoustic folk wedding bands are an enormously popular wedding entertainment trend. If you're looking for a feel-good folk band to raise the roof at your reception, you'll be spoiled for choice with our selection of acoustic acts. Add nostalgic glitz and glamour to your wedding day with a vintage themed band. 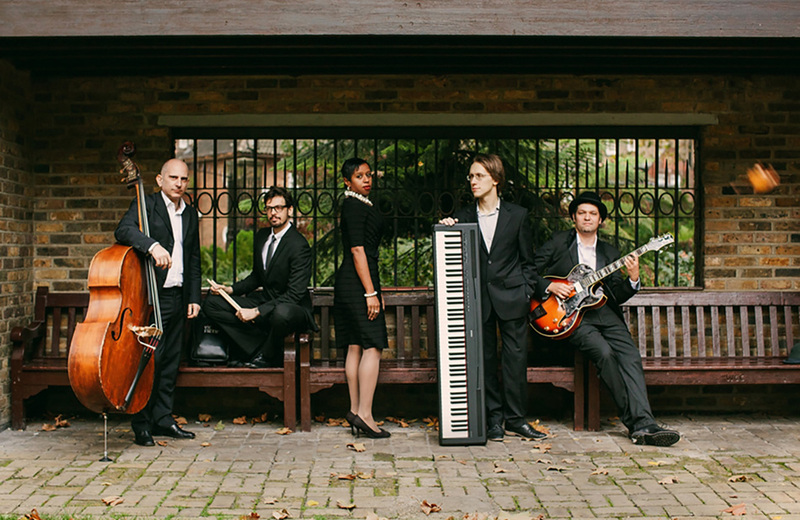 Decadently attired in authentic costumes and playing the musical instruments of the 20s, 30s and 40s, vintage wedding bands perform upbeat swing and retro-styled modern songs. 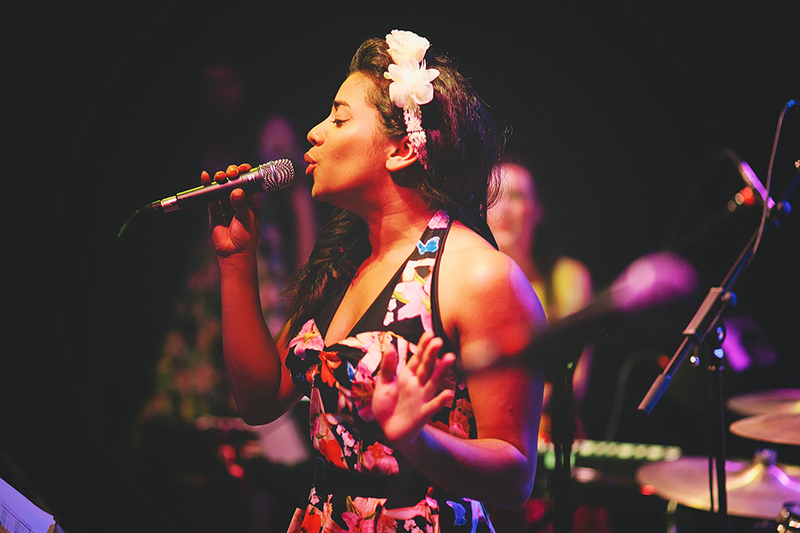 For something completely different at your wedding, hire a vintage style band. Hire a professional string quartet to conjure a beautiful romantic accompaniment to your wedding ceremony. We offer some of the UK's most talented string musicians to perform especially for you. A wedding piano player is another great choice to keep your guests entertained throughout the day. 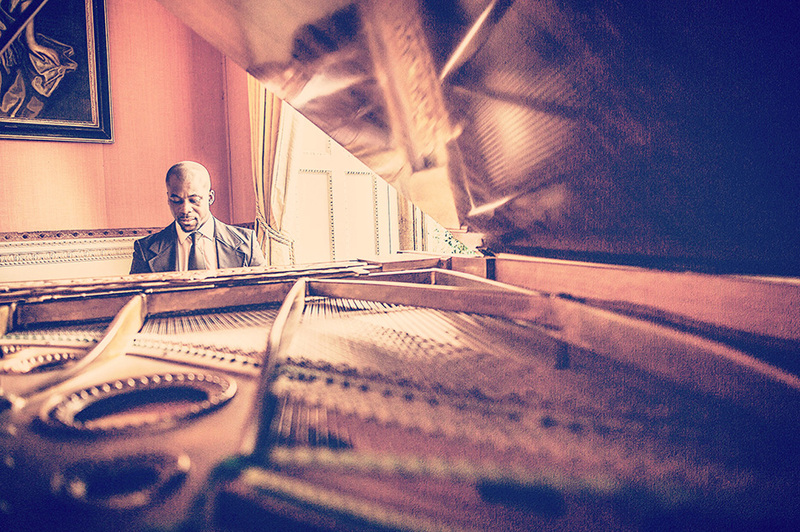 At Entertainment Nation, we have a range of styles of pianist: jazz players to perform lounge style background music, classical pianists and contemporary pianists play and sing modern songs. Astound your guests with the fantastic feats of a close-up magician and mind reader. These spellbinding entertainers get everyone talking and help break the ice with their astonishing array of tricks and illusions. If you want more control over your evening reception playlist, why not hire a wedding DJ? You'll be able to specify all your favourite musical genres and dance the night away to a professionally curated set list of party tunes that'll keep the floor full. As well as supplying incredible wedding entertainment, we also provide professional performers for parties. Birthday party DJs, graduation party musicians, and Christmas party bands - we've got the lot! For business functions we have a huge selection of corporate entertainment for hire. Dancers, stage magic, corporate event bands, freestyle footballers, lounge musicians and more! Looking for an exceptional wedding band to hire in Cheshire or Merseyside? Look no further - at Entertainment Nation we have a stunning selection of the top wedding bands in the North West to choose from! No matter whether you love scintillating guitar solos, soaring, soulful vocals or sophisticated strings, you'll find what you're searching for with Entertainment Nation. All our Merseyside and Cheshire wedding bands are vastly experienced and supremely talented. When you hire a wedding band with Entertainment Nation, not only do you get a stunning live show that'll have everyone up dancing, but also you get the security of knowing you're working with reliable professionals who'll help your big day to run smoothly and according to plan. We make hiring a wedding band simple and hassle-free. Simply browse the Entertainment Nation website, and when you find the act you like, send an enquiry in a few clicks. Our friendly wedding entertainment advisers will be in touch ASAP. Our advisers are available to guide you through the booking process and answer any queries between 10am and 10pm, 7 days a week. Discover your dream wedding entertainment today! Entertainment Nation is the leading agency for Essex wedding band hire! With a huge selection of the most talented wedding bands Essex and unrivalled customer service, we'll help you hire live wedding entertainment that surpasses all your expectations. Our Essex wedding bands are skilled and experienced professional musicians who know exactly how to create the perfect mood on your big day. 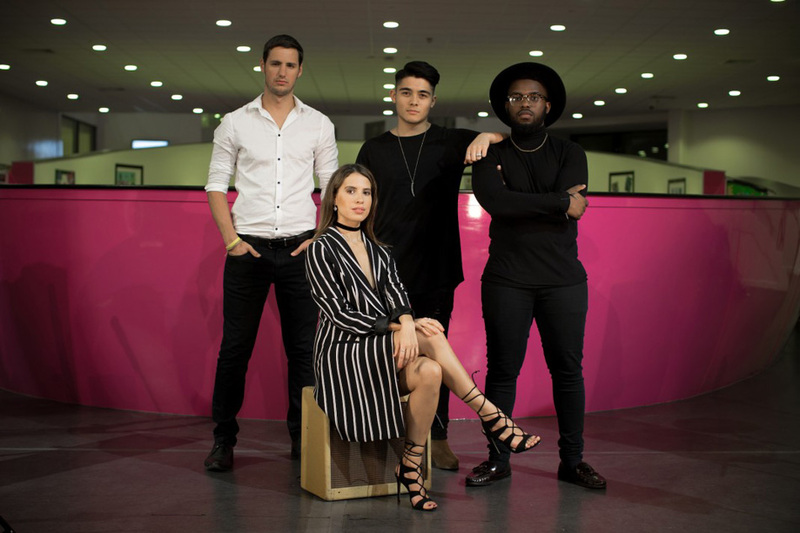 Whether you're looking for a string quartet or an acoustic duo to enhance the romance of your ceremony or an exhilarating function band to conjure an electrifying atmosphere at your reception, you'll find them with Entertainment Nation. You can choose from bands in an enormous variety of genres, from uplifting acoustic folk to high-energy rock and pop to smooth jazz and swing. Our wedding bands are versatile musicians who can cater to any audience and get guests of all ages flocking to the dance floor! Hire your dream wedding band today with Entertainment Nation! Kent wedding bands for hire to make your wedding an even more spectacular occasion! Whatever you've got in mind for your wedding entertainment, you'll find the perfect performers to fulfil your dreams with Entertainment Nation. We offer a huge range of wedding bands in Kent, including pop bands, rock bands, soul bands, Motown bands, folk bands, jazz bands, swing bands and more. We only work with the most talented wedding bands in Kent. When you book your wedding band with Entertainment Nation you're getting more than music. You're getting experienced, professional performers who'll work closely with you to deliver an unforgettable evening's entertainment. We've helped thousands of brides and grooms plan their dream wedding entertainment and we use all that knowledge and experience to help you find the band that's perfect for you as a couple. Our friendly advisers are there to assist you from 10am until 10pm every day of the week. Book a band for your Kent wedding with Entertainment Nation today! 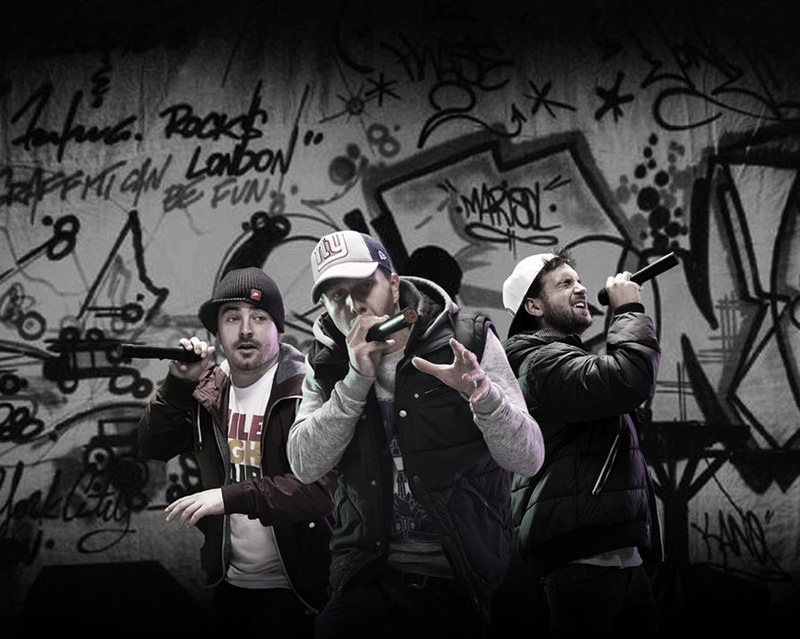 Entertainment Nation is the home of the best London wedding bands for hire! 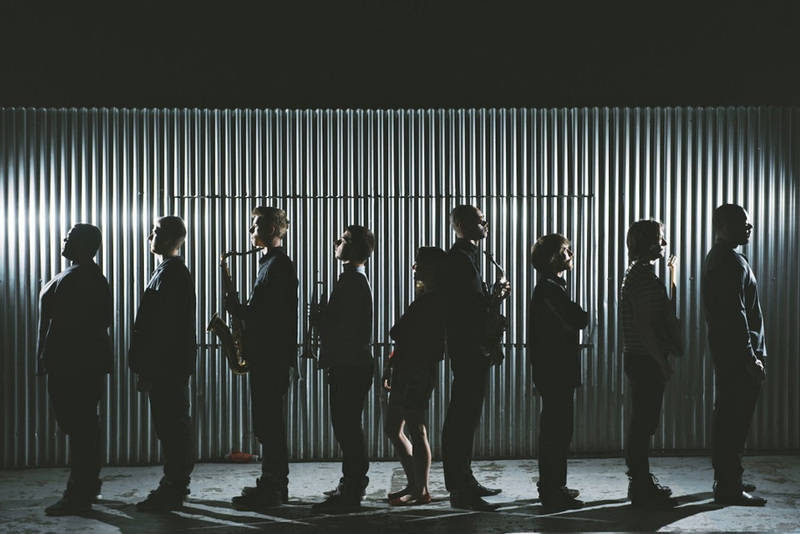 We represent a copious collection of the capital's most talented live wedding bands. Whether you're looking for pop and rock or soul and Motown bands to take the party into the early hours or classical musicians or acoustic duos to create a romantic atmosphere at your ceremony, you'll find your perfect wedding entertainment with us. All of our London wedding bands are made up of highly experienced and incredibly talented professional musicians. These guys know their trade inside out and provide an impeccable service, helping your big day to run smoothly and to plan. Our wedding bands in London are located in and around the area, covering City of London, all London boroughs and the Greater London area. This means you'll find a local London wedding band and pay the best rate possible. We know you're busy and that planning live wedding entertainment isn't something you do every day, which is why our expert wedding entertainment advisers are on hand from 10am until 10pm every day of the week, including weekends and bank holidays. If you have a question about booking your wedding band, no matter how big or small, then get in touch with the team, who'll do everything they can to help. Visit Entertainment Nation and discover your dream wedding entertainment today! Hire a wedding band in Surrey with Entertainment Nation! If you're looking for a talented Surrey wedding band to supply the centrepiece for your wedding reception, we are here to help. Choose from hundreds of exceptionally talented bands in a huge range of styles. 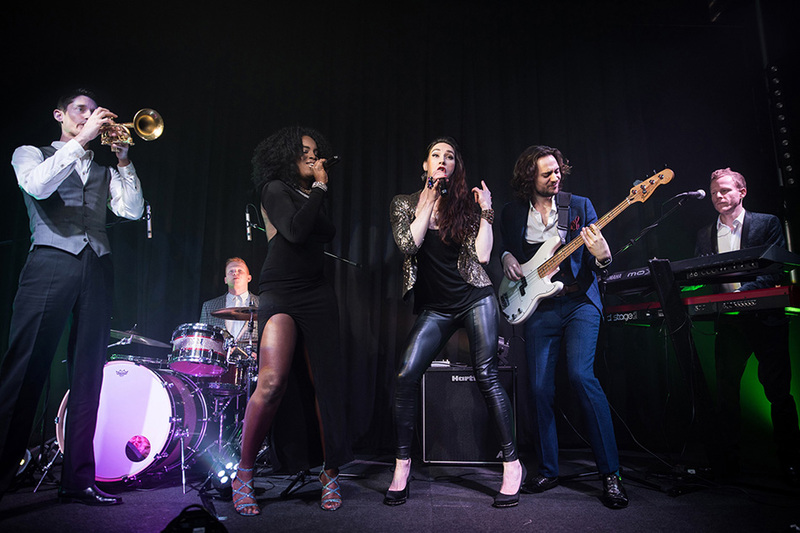 Whether you go for an energising rock and pop band or an irresistibly groovy funk, soul and Motown band, when you book your wedding band from Entertainment Nation you're guaranteed a dance floor heaving with guests! Our Surrey wedding bands are of the highest quality thanks to the strict standards of our team of professional musicians. Before a band is added to our roster, our pro musicians rate every them on their talent and their professionalism. This means you can be sure that the band you hire for your wedding are exceptional performers, experienced and reliable. 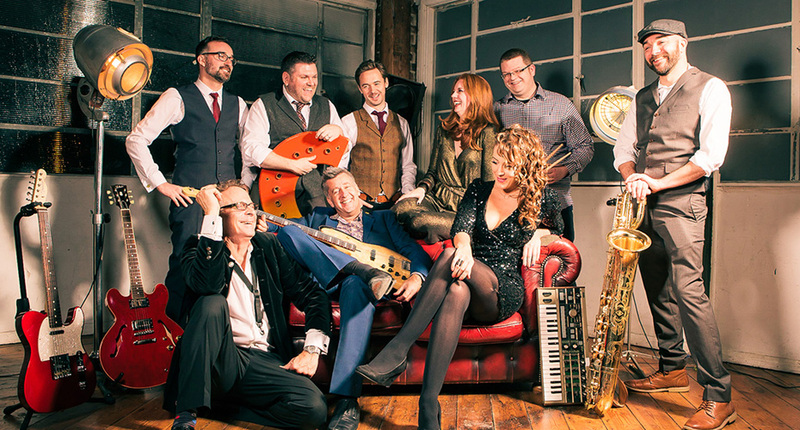 If you don't know where to start when it comes to booking a live band, have no fear, our friendly team of expert wedding entertainment advisers are here to help. We've helped countless couples plan their perfect wedding entertainment. You can rely on us to give you personalised recommendations and answer any questions you have with the booking process. We're around when you need us: from 10am until 10pm, 7 days a week. Hire your Surrey wedding band safely and securely with Entertainment Nation. Have you got your heart set on hiring a live wedding band to raise the roof at your wedding reception? Then you need to check out the incredible selection of Bedfordshire and Hertfordshire wedding bands for hire from Entertainment Nation! 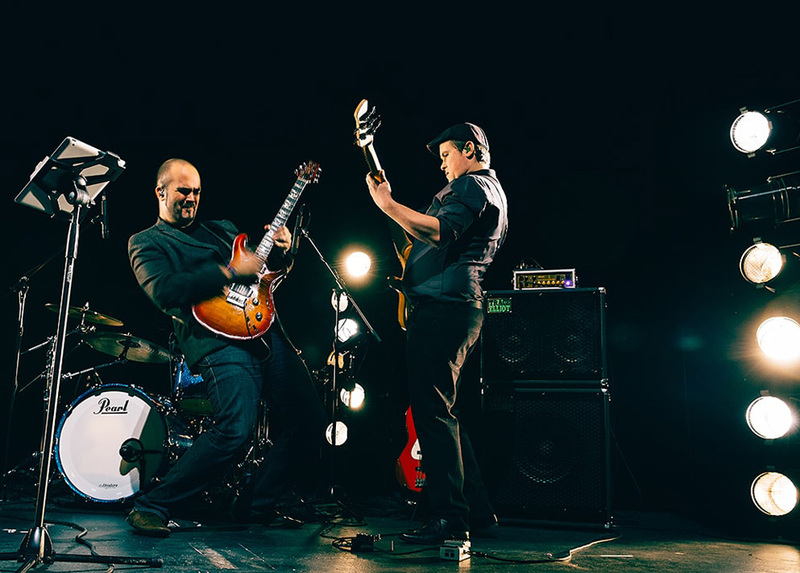 We've built up a sensational roster of acclaimed bands for weddings in Hertfordshire and Bedfordshire who are ready and waiting to take to the stage and fill the floor at your evening reception! As well as the power of live music, hiring a live band also means you're getting an impressive visual centrepiece at your wedding reception. Our wedding function bands bring along high-quality equipment, including PA and lighting, to make sure your party looks as good as it sounds. With everything from rock and indie to soul and swing to choose from, you're certain to find your perfect act with us. We're experts in supplying top wedding entertainment, with hundreds of happy couples booking a wedding band through us every year. Find out why so many brides and grooms trust us to help them find the ideal band for their occasion and visit the Entertainment Nation website today! Your search for a wedding band in Oxfordshire, Berkshire and Buckinghamshire has come to an end! At Entertainment Nation we have gathered an incredible array of top UK wedding bands for you to choose from. Why hire a live band for your wedding reception? Because the experience of music performed live and in person by dazzlingly talented and charismatic pro musicians is impossible to surpass. Hire a wedding band from Entertainment Nation and you and your loved ones will be packing out that dance floor until the early hours. Whether you're interested in the latest music trends or you're a fan of the classics â€“ or both â€“ we've got just the act for you in our carefully chosen selection of experienced wedding bands. 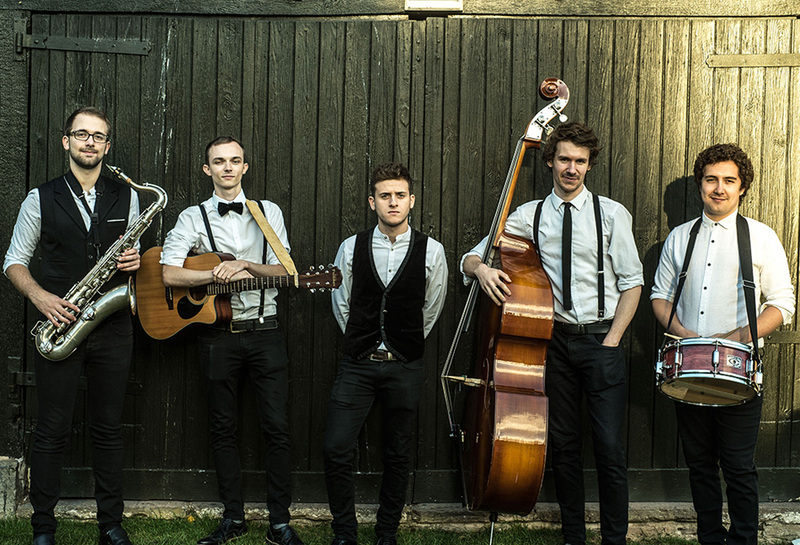 From Mumford and Sons style folksters to show-stopping soul and Motown masters, you're sure to find a band to slot into your wedding plans perfectly. And it's not just bands that are on offer â€“ hire magicians, caricaturists, DJs, classical musicians and more! We aim to make finding and booking wedding entertainment a simple and enjoyable process. We understand that booking live performers isn't something you do every day, which is why we're on hand to chat through any queries or concerns from 10am until 10pm, 7 days a week. Rock your reception with a live wedding band from Entertainment Nation! For experienced live wedding bands in the Sussex area, look no further than Entertainment Nation! 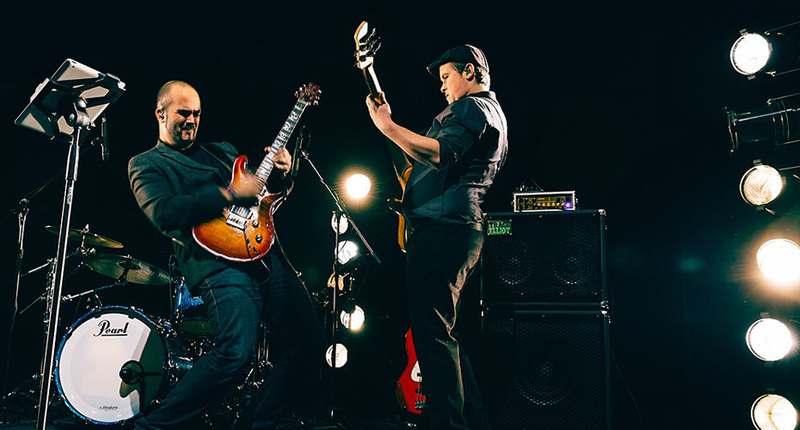 It doesn't matter what style of music you're into, we've got the lot: from upbeat acoustic folk acts to smooth jazz bands, to raucous rock bands. 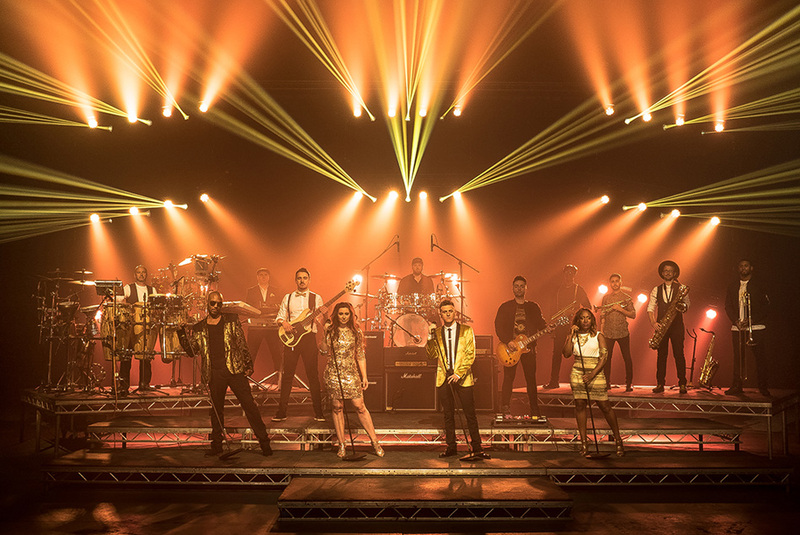 If you're aiming to thrill your family and friends with an unforgettable evening party, there's no better way than by hiring an exhilarating function band who know exactly how to get people out of their seats and onto the dance floor. We also offer Sussex wedding entertainment to fill every single moment of your wedding day with fun and laughter. 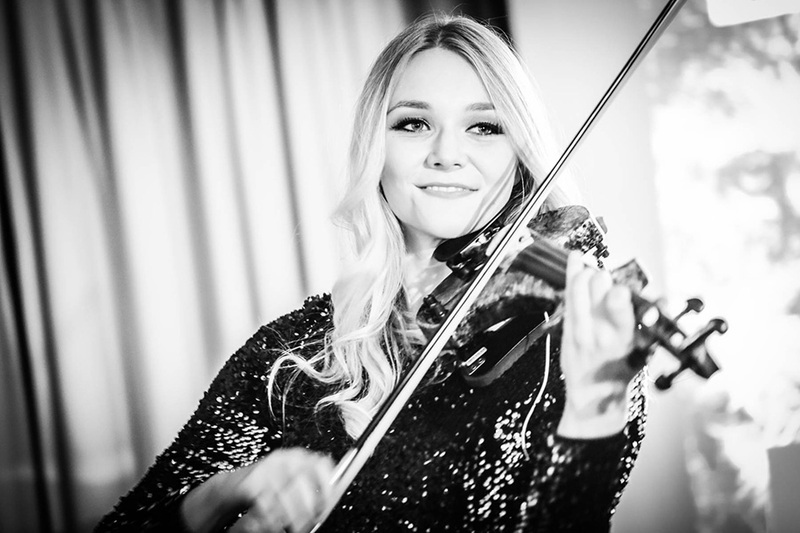 Add a beautiful musical accompaniment to your ceremony with a string quartet or an acoustic guitar and vocal duo, entertain in the afternoon with magicians and caricaturists, and create the ultimate party atmosphere with a professional DJ. If you'd like to find out more about hiring a Sussex wedding band or performer, our friendly team are always happy to help. You can get in touch between 10am and 10pm 7 days a week via telephone, email or through Live Chat over on the Entertainment Nation website. Visit us today to get the ball rolling on finding the best band for your wedding. Find and book an experienced, professional and exceptionally talented live wedding band in the West Midlands. We've collected together the most exciting West Midlands wedding bands all in one place, so you needn't spend hours trawling the web to find your perfect act, simply visit Entertainment Nation and discover your dream act with ease. 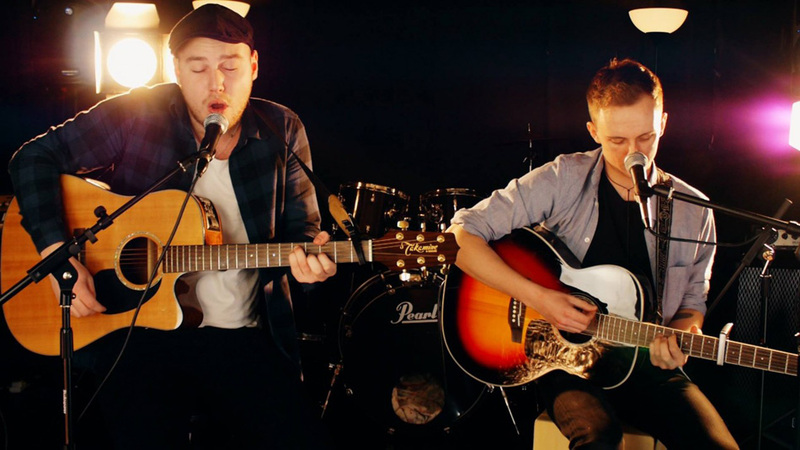 Our West Midlands wedding bands come in a diverse range of genres to suit any theme and budget, so whether you need an acoustic duo to complement your intimate venue or a 12-piece show band to steal the show, you'll find all that and more over on the Entertainment Nation website. We've got pop bands, rock bands, indie bands, folk bands, funk bands, soul bands, Motown bands, jazz bands, swing bands â€“ pretty much any style of music you can think of! As well as offering the best wedding bands in the Midlands, we also specialise in giving expert, friendly and personalised service. We know what a big deal getting everything right on your wedding day is, which is why our wedding entertainment advisers are around to help from 10am until 10pm, 7 days a week. We'll answer all your questions, give our recommendations and generally help make the whole booking process as smooth as possible. Hire your West Midlands wedding band with confidence when you book through Entertainment Nation. Find THE wedding band in East Anglia with Entertainment Nation! The Entertainment Nation website is crammed with some of the UK's most talented musicians, performers and bands, giving you unrivalled choice when it comes to booking your perfect wedding entertainment. From chart-toppers to vintage boppers, you're certain to find an act that matches you and your wedding style in our eclectic selection of wedding bands and performers. 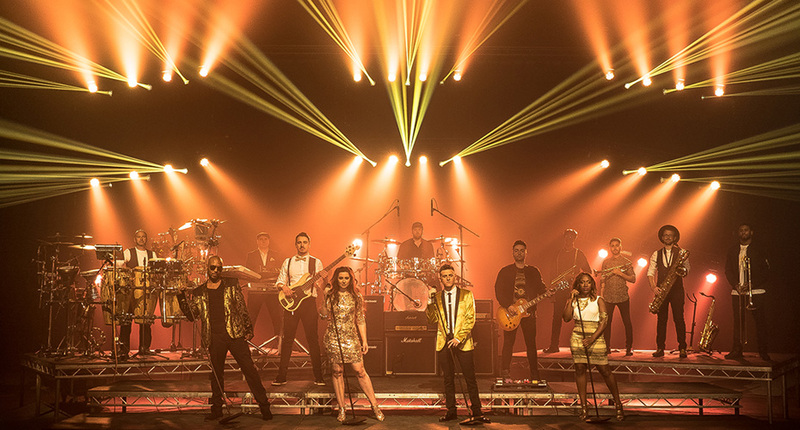 Whether you're looking for a rock band, pop band, folk band, funk band, soul band, jazz band or perhaps a DJ or string quartet, you can rest assured that any act you hire through Entertainment Nation is experienced and reliable, thanks to the strict standards set by the pro musicians on our team. If you choose to book your wedding entertainment with Entertainment Nation, you're not just getting an act of the highest quality; you'll also receive the pinnacle of service from our friendly team. Our team of wedding entertainment experts are available to assist from 10am to 10pm, 7 days a week, so whether you're ready to hire your wedding band or you'd just like some advice, our team is there for you when you need them. Hire incredible entertainment for your East Anglia wedding with Entertainment Nation! Looking for the best Bristol wedding bands? Head on over to Entertainment Nation for an unbeatable selection of sensational performers to make your wedding reception one for the ages. When you add live music to your event, you're getting more than just a soundtrack, you're getting the dazzling lights, the supercharged atmosphere and the charismatic audience interaction that all adds up to an unforgettable experience. Whatever your musical tastes, you'll find an act to serve up a scintillating performance of all your favourite floor-filling tracks in our collection of professional and experienced live wedding bands. Ranging from folk, rock and indie to jazz, soul and Motown, to tribute acts, world music performers, and DJs and live musician combos, there's something for everyone. Alongside making it easy to find and watch potential acts to add to your wedding celebrations, we aim to make hiring live entertainment as simple and stress-free as possible. That's why our team of knowledgeable advisers are here to help between 10am and 10pm, 7 days a week. Whether you've got a technical question, want some expert recommendations or you're ready to book, our team would love to hear from you. 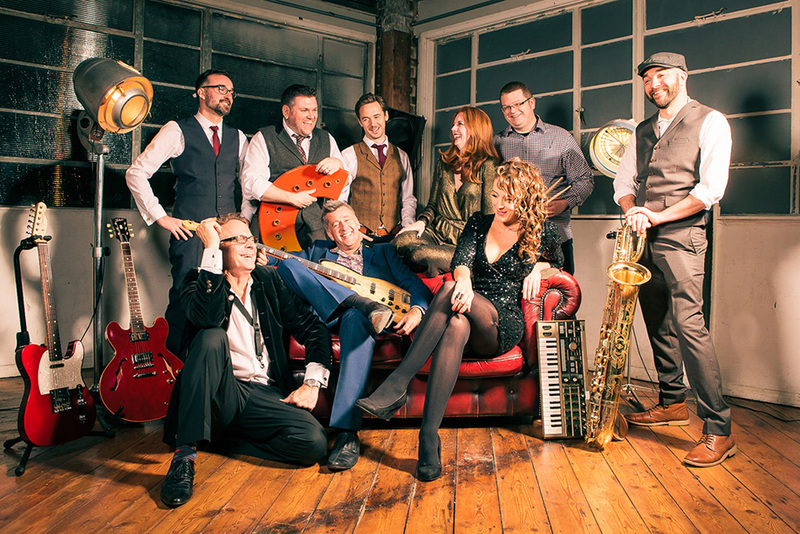 Build up the atmosphere with a brilliant Bristol wedding band from Entertainment Nation!